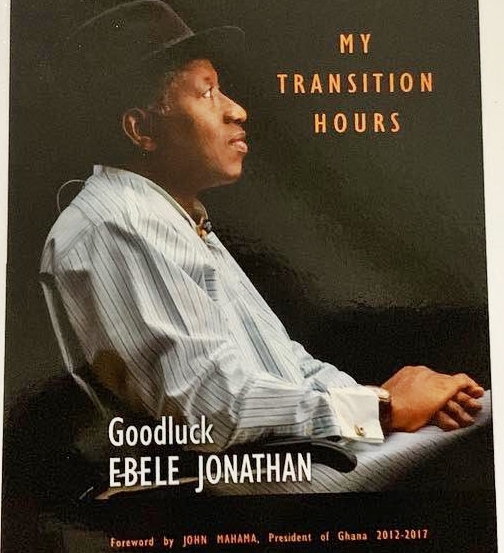 President Goodluck Jonathan arrived the venue of the launch of his new book, 'My Transition Hours', at the Transcorp Hilton Hotel in Abuja on Tuesday in style. 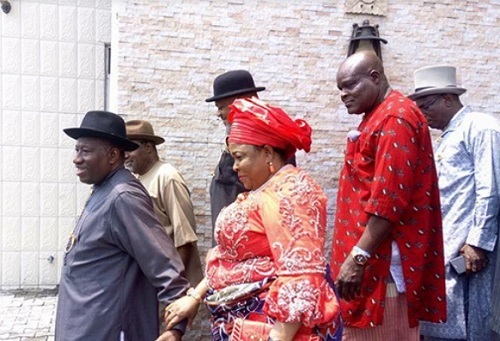 The former president arrived at 11.45am with his wife, Patience. It was gathered that his arrival was greeted with a loud ovation from those gathered at the entrance of the venue. Security operatives had a hectic time keeping the crowd away from him. Inside the hall, Jonathan went round to greet his guests. President Muhammadu Buhari, will be his special guest of honour at the event. Guests of honour at the high profile event includes; former president of Ghana, John Dramani Mahama; former Nigerian heads of state, General Yakubu Gowon, General Ibrahim Babangida, General Abdusalami Abubakar; presidential candidate of the Peoples Democratic Party (PDP), Alhaji Atiku Abubakar; and former vice president of Nigeria, Namadi Sambo. The book will be reviewed by the former chief justice of Nigeria, Salihu Alfa Belgore, and will be presented by the former minister of defence, retired General Theophilus Danjuma. Obi of Onitsha, Igwe Alfred Nnaemeka Achebe is the royal father of the day.